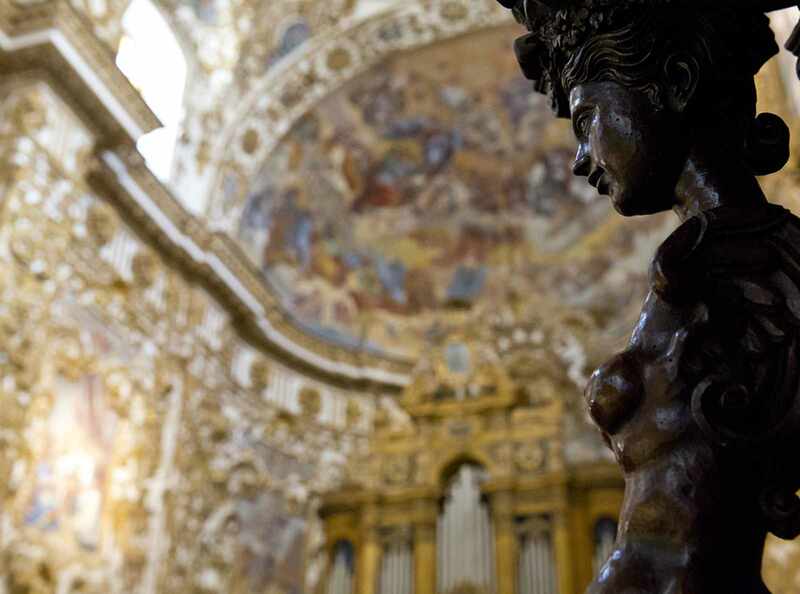 The Cathedral of San Gerlando is the most enchanting place in Agrigento. It has stood tall over the old town centre for nine centuries, carefully guarding an array of mysterious objects and legends. The Altar and the Legend of the True Cross. At the time of the First Crusade, the Norman Count Ruggero conquered Sicily. It would take exceptional human and spiritual capabilities to convert the population back to Christianity after centuries of Saracen rule. Therefore, the Count appointed Gerland of Besançon as the Bishop of Agrigento. He performed his eminent duties so well that he had soon re-established the Church throughout the island, leading to his canonization many years later. As the crusaders were conquering Jerusalem, Gerlando completed the cathedral. The crusaders had a small, portable altar that they used for celebrating mass on the battlefield and it was jealously guarded in the cathedral for centuries. 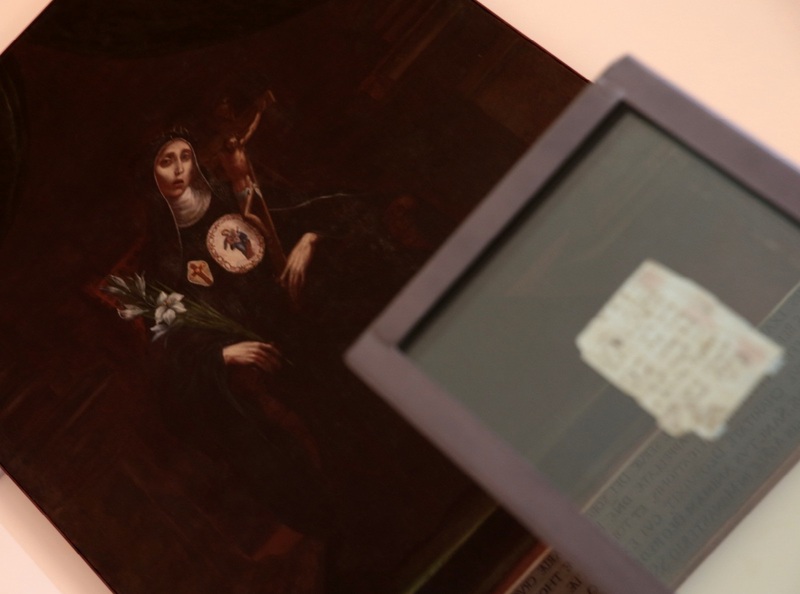 Why was it hidden in a shrine dedicated to Saint Gerland? Was it his or was it brought back as a gift for him from the Holy Land? 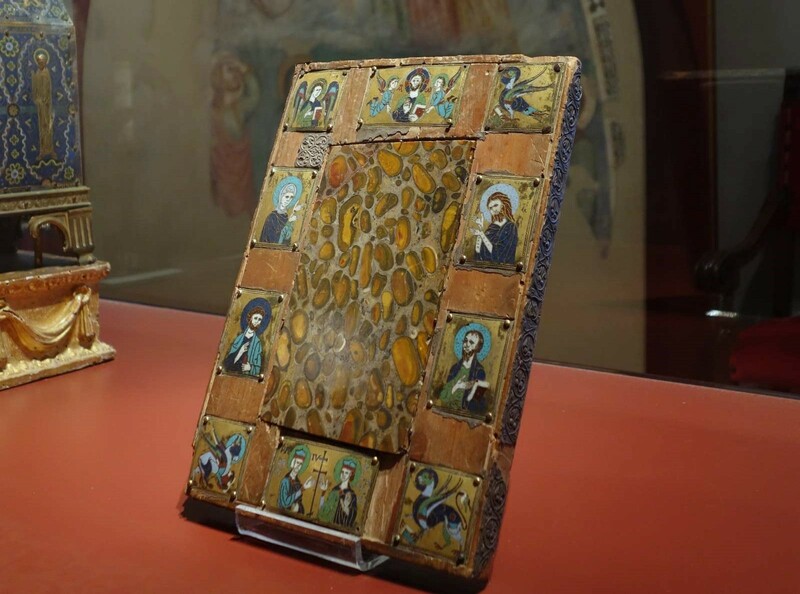 On one side it shows David and Solomon worshipping a Byzantine cross in an image associated with the “Legend of the True Cross”, which was only known in the East at the time and was first spread elsewhere by Gerland. The altar is now on display in the MUDIA: Diocesan Museum of Agrigento. The Saint and the Paladin. 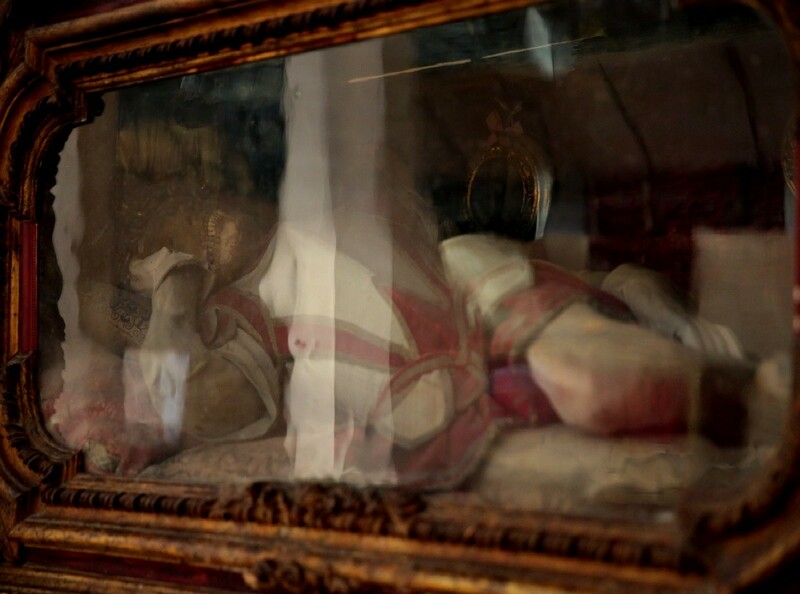 In the cathedral, there is an embalmed body in a glass coffin. It has been officially identified as St. Felice Martire, but there are 15 martyrs recognized by the Church with this name and for some reason it is not known which he is. His unusual clothes have given rise to an alternative theory. According to an ancient tradition, it is actually the body of Charlemagne’s brave paladin Brandimarte. He died alongside Orlando and Oliviero during an epic battle with three Saracen knights on Lampedusa. Orlando wanted his body to be taken to Agrigento for a funeral and buried in the Cathedral. The story was told by Ludovico Ariosto in cantos 42 and 43 of Orlando Furioso. So whose body lies in the glass coffin? The paladin or the saint? It remains a mystery. The Letter from the Devil. In 1676, Sister Maria Crocifissa was found gasping on the floor holding a piece of paper covered with strange symbols. Her fellow nuns came to her aid and she said that she had been tempted by the devil. Satan brought his demands on the paper and told her to sign it, but instead she simply wrote “Alas!” Satan left in a rage and made horrific threats about what he would do if she failed to meet the requests on the paper. The Letter from the Devil has never been deciphered. It can now be seen in the bell tower. What is written on it? What vile demands does it make? Many experts have studied it, but the mystery has yet to be solved.